We have partnered with the biggest and best fiber carriers in Houston, enabling us to offer fiber connectivity to Greater Houston - Galveston and outlying areas. What does this mean to you? Trinicom Communications can deliver fiber internet to your location at close to T1 prices and - in most cases - with FREE INSTALLATION! Our fiber services connect to your existing network through standard ethernet and represent true plug and play connectivity, bandwidth scalability and stability. 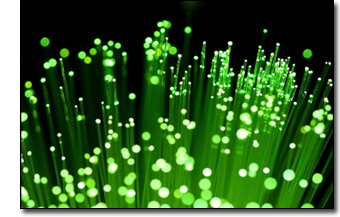 Plug into the flexibility that fiber optic connectivity brings! Please contact us toll free at 888-896-1653 or by email at sales@trinicom.com for more information about fiber optic connectivity.